I was alerted to this call to action by Travis Rummel of Felt Soul Media. Check out his post on The Wire. My request - Make your voice heard on the issue of mining law reform. Time is short (10/31). Click on this link for more information - I CAN HELP. 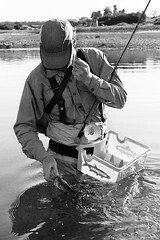 My thoughts - Watersheds are directly affected by mining. Keep in mind that all the material that comes out of pits like the ones shown has to go somewhere. What does the mining industry track record for resource protection look like? What is the real economic benefit picture? Are pits in the earth due to extraction "needs" really the best thing for the planet? For us? We're talking long term impacts on a mother nature level. Ain't no gettin' the mountain back....or the river. 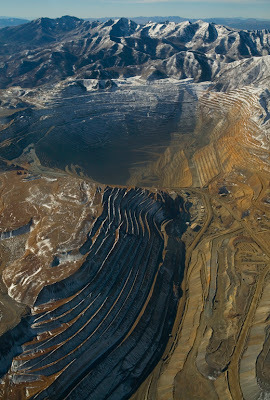 I ask - Do something unusual, call your Representative and tell them to vote for HR2262, the Hardrock Mining and Reclamation Act of 2007 or you can find your Representative's contact information and send them an email HERE. My opinion - The Mining Law Act of 1872 is arguably the worst case of corporate welfare in our nation's history. If it's after hours you can still call your reps D.C. office and leave a message, TELL THEM TO VOTE YES ON HR2262. 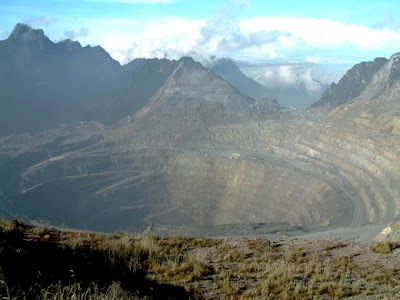 Bottom - The Grasberg Mine in Indonesia is the current #1 open pit mine for total mineralization value in the world. The Pebble deposit looks to be larger in total value and will soon surpass Grasberg in total mineralization value. Pretty $cary.